I have been sitting in wait for the arrival of Wicked, a musical I have wanted to see for years and yesterday, I finally took my seat and witnessed the West End and Broadway sensation for the first time and it exceeded all my expectations and more. It truly was unbelievable and I want to see it every night while it is in Southampton. 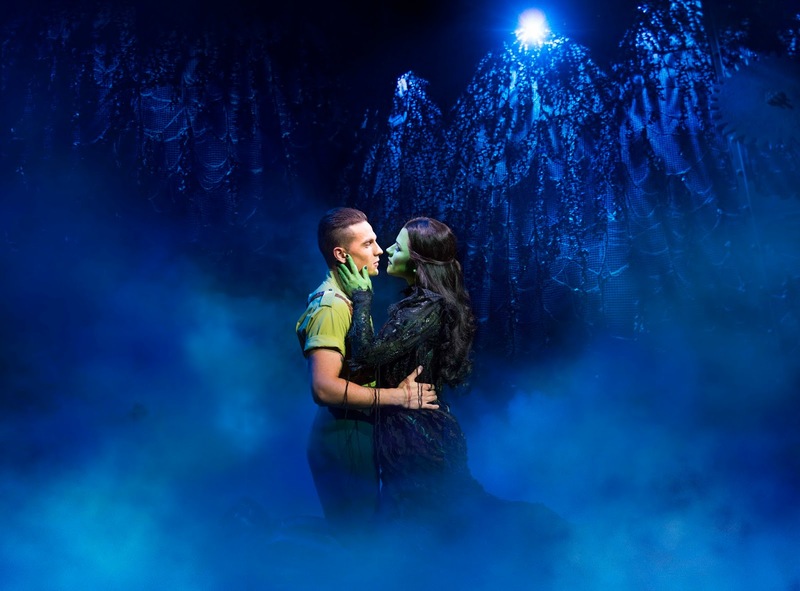 Wicked opened at Mayflower Theatre 3rd October and will run until 27th October, casting a magical spell over Southampton in the process. The show has broken records across the world and is the 5th longest running musical playing in the West End and after last nights performance, I can totally see why. It was captivating, exhilarating and magical. Wicked is the untold story of the witches of Oz, an ingenious re-imagining of the characters and stories created by L. Frank Baum in the original, Wonderful Wizard of Oz. 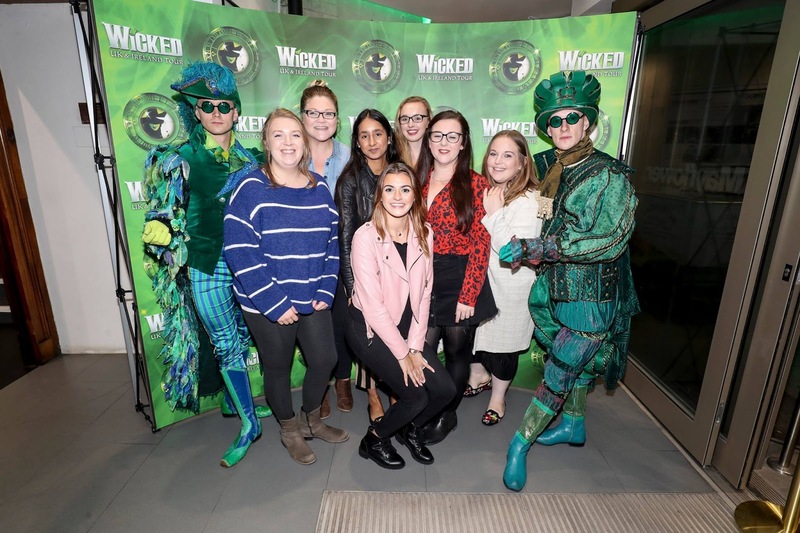 A tale of loathing, friendship and exciting adventures when two young woman become sorcery students at college, Wicked brings to life the tale of Glinda the Good Witch and the Wicked Witch of the West. 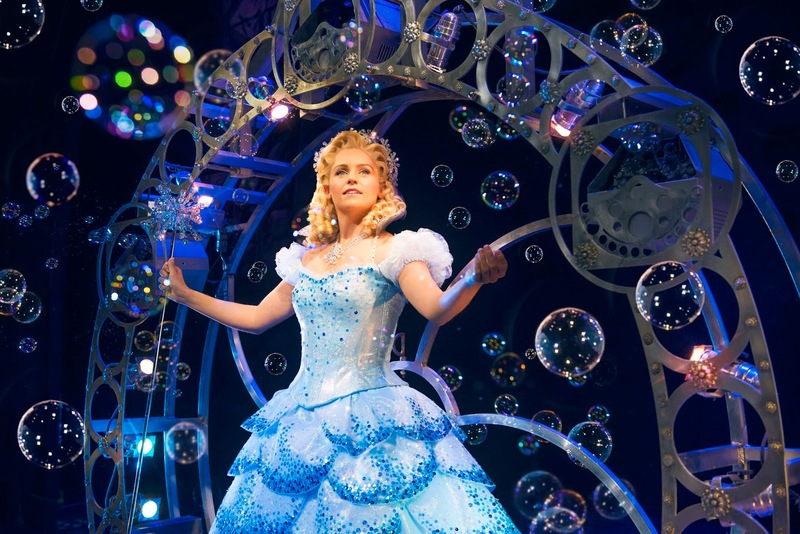 Wicked has been watched by 55 million world wide, it's a magical phenomenon and the touring production features over 100 people onstage and behind the scenes and includes a cast of over 30. Amy Ross was sensational as Elphaba, her singing was out of this world and incredibly beautiful. 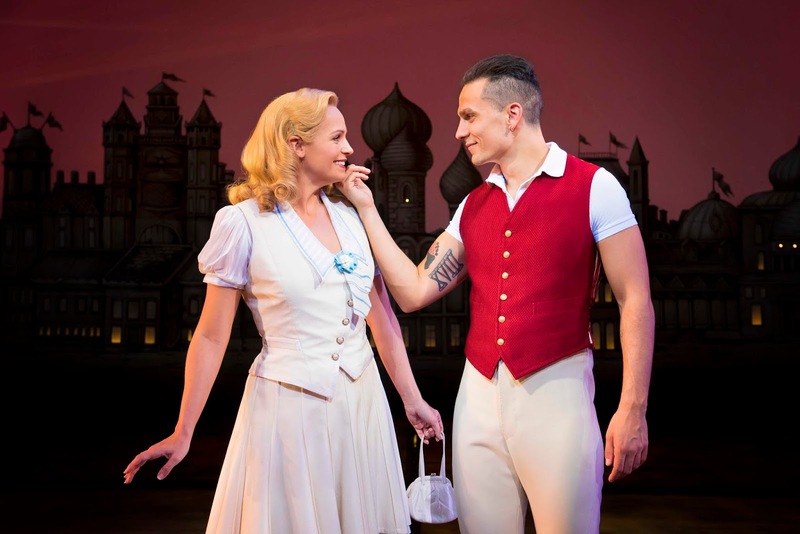 We also saw Helen Woolf play the beautiful and funny Glinda as well as Aaron Sidwell who played Fiyero. 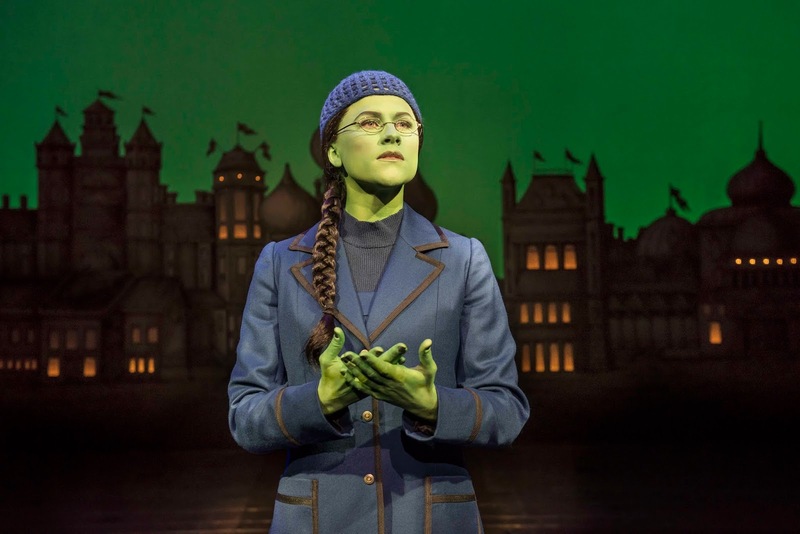 I'm vaguely familiar with the story of Oz but you needn't worry whether you are or not as Wicked takes you on a journey with wonderful twists and turns from beginning to end. The set was incredible and the attention to detail was amazing, there was always something to see. The costumes were something else, we had a photo with two of the cast before the show and the costumes up close are so intricate and unique, I would do anything to get behind the scenes, talk to the designers and get up close and personal with the costumes. They were just captivating and I found myself following the costumes more than the actors are some points because I was just so in awe of them. It was an outstanding first half, the scene that totally stole my heart was when Elphaba sung Defying Gravity, as she rose up high, it was breathtaking and I could barely wait for the interval to finish although I did get to enjoy a special Wicked cupcake while I waited. The entire performance oozed colour and vibrancy, from the faultless singing to the amazing choreography. The stage was alive throughout the performance and the anticipation for each scene to delve into the story even more was electrifying. Amy Ross, for me completely stole the show, she was unbelievable. Musicals aren't usually my first love when it comes to the theatre but Wicked gave me an experience like no other and it's the first time I've ever gone straight home and downloaded the entire soundtrack. There are still some tickets available with the best availability being Monday to Thursday so if you get the chance, book those tickets! Wicked is unmissable and one of the best shows I have ever seen. This is one of my all time favourite west end productions, I absolutely love it and wish i could go and see it in Southampton! I love musicals, but haven't been in ages! I need to see what is on around me. Ooh this sounds amazing your photos are fab too! I literally don’t know why I haven’t seen wicked yet. I have literally only heard amazing things about it. What a wicked blogging night out! I've wanted to see Wicked for the longest time! I really need to see it! Wizard of Oz was my go to film growing up - I’ve seen Wicked 3 times now!! Brilliant! I’m not a huge musical fan but I really want to see Wicked as everyone says it’s great. Your photos are amazing and it really does seem quite magical. I saw this in London a few years ago and it's literally one of my FAVOURITE musicals, it's absolutely incredible isn't it? !